My very favorite gift to give these days is square oven mitts. Yes, I've made them again and again. I did not come up with this idea - I found it here. The original tutorial was light on details. I had a hard time wrapping my brain around the way it was supposed to come together. At first, I made this project harder than it needed to be. Then I was working on another project and had a lightbulb moment on the fastest and simplest way to put these together, while not sacrificing on finishing details. I'd love to share it with you. I like to use one of the batting pieces as a template for cutting out the other pieces. Got everything cut out? Great! Put one stack face down on top of the other stack. You'll now have one stack, with the exterior fabrics right sides together, in the center of your sandwich You're sandwich will be: Insul-Bright, batting, exterior fabric, exterior fabric, batting, Insul-Bright. 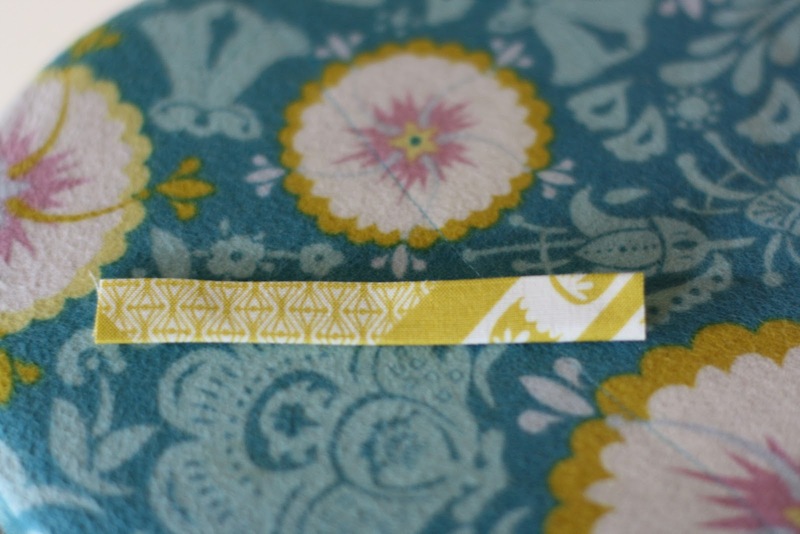 Now you'll want to make the loop using your twill or bias tape. 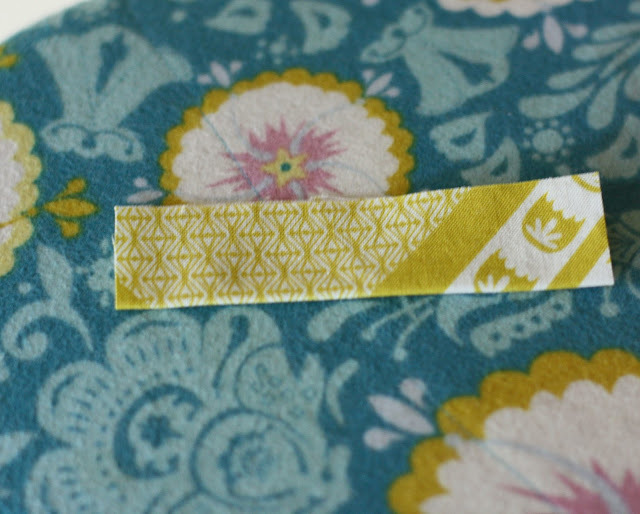 I chose to make my own bias tape with the exterior fabric material (using the lining material is fun, too!) 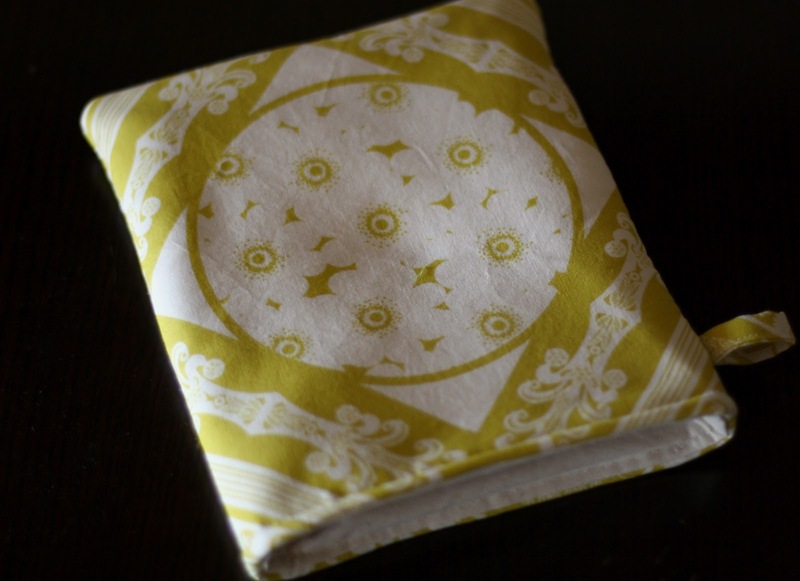 I cut one piece of fabric 2" x 4". Fold the strip in half, lengthwise and press. This will form a crease in the center of the strip. 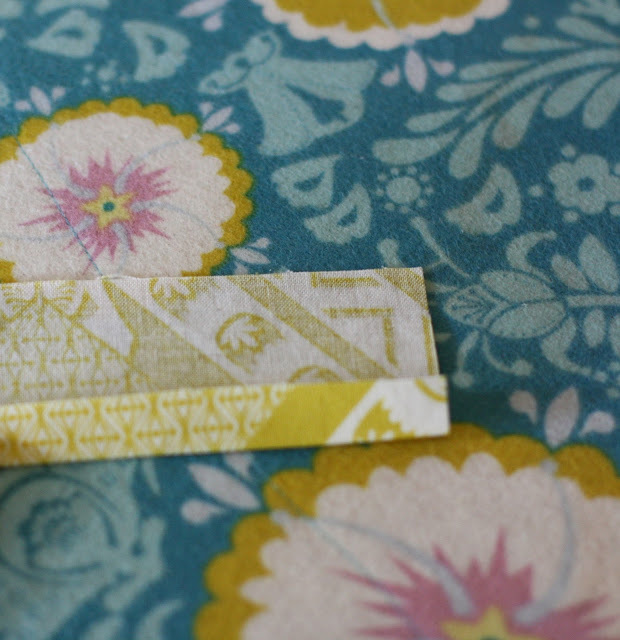 Open up the strip and press the left long edge in so that it meets your center crease. 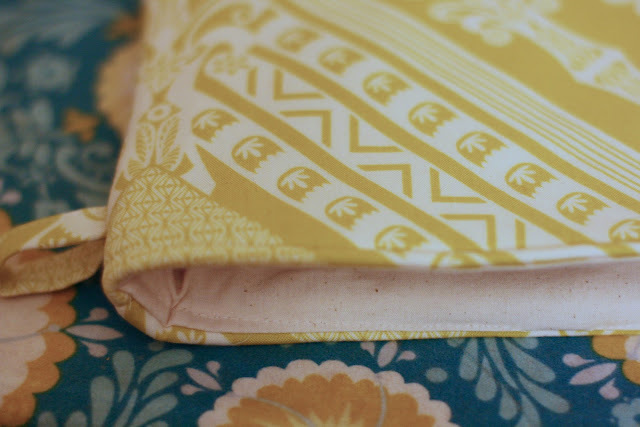 Repeat to the right long edge, pressing it in so it meets the center crease. 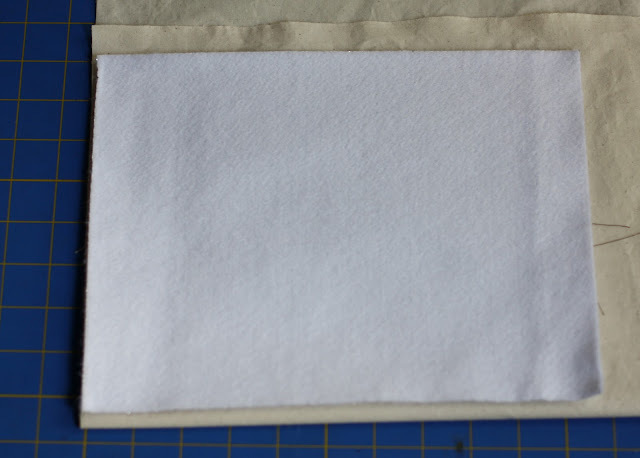 When you have pressed both sides in, fold the strip in half along the initial center crease and press. Your raw edges will be completely enclosed. Edgestitch along the long edge. Fold the bias tape in half, short sides together. Sandwich it between the two exterior pieces of fabric, a couple of inches from the bottom of your potholder. Pin in place. This will be the loop for your potholder. Now we're going to sew the potholder together. 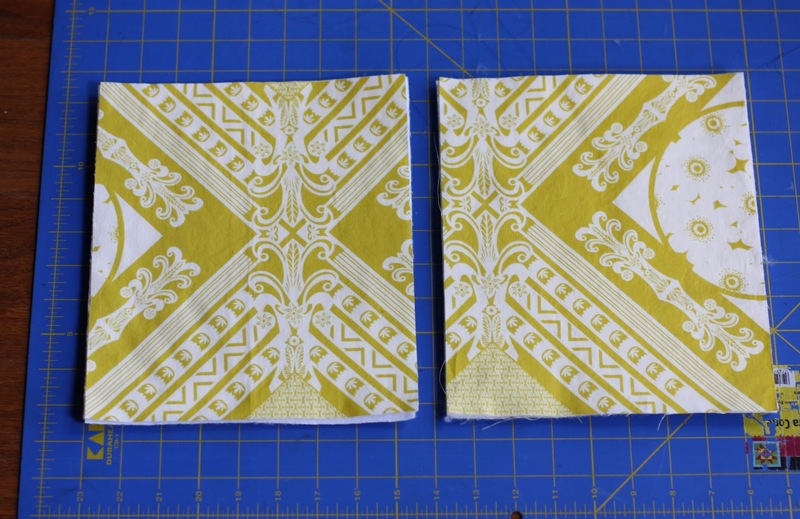 We're going to stitch the long edge, then the shorter edge (top) and finally the other long edge. 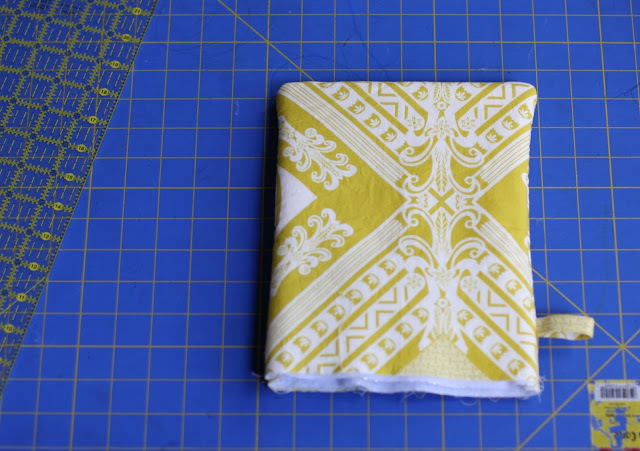 If your fabric is directional, double check to be sure you placed it exactly as you'd like it. It'll look like this when you're done. We're ready to sew. This is incredibly thick. 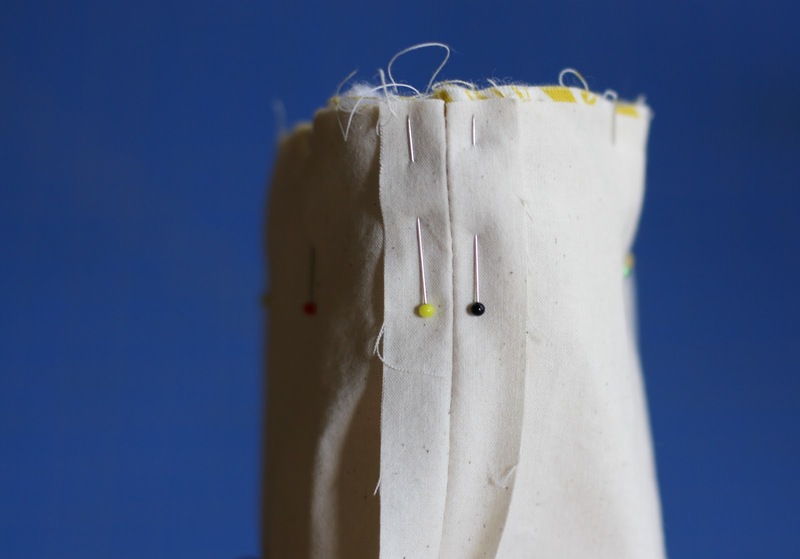 There are a couple of tricks to make sewing easier. First, increase your stitch length. I increase mine a lot, to 4. Next I start my presser foot so it's entirely on the potholder fabric. 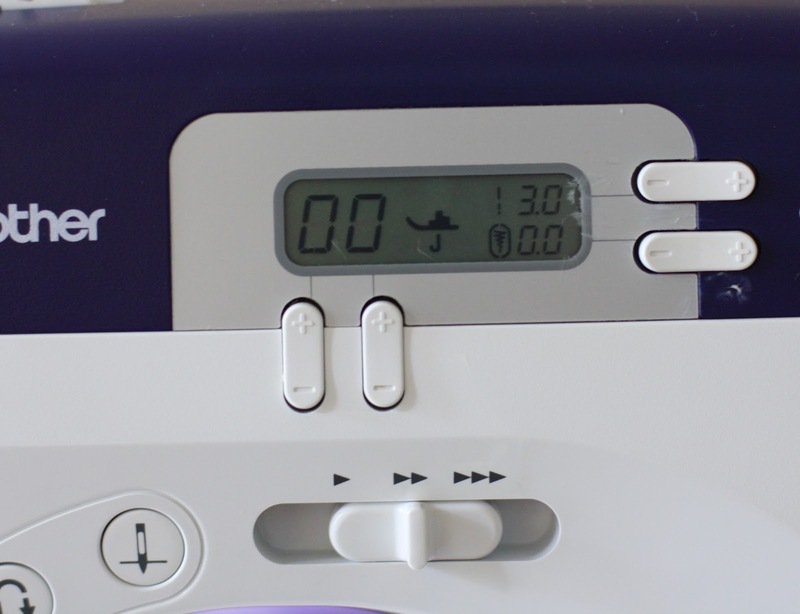 If I start with my needle on the fabric, but part of my presser off of the fabric, my machine sometimes has a hard time getting started. 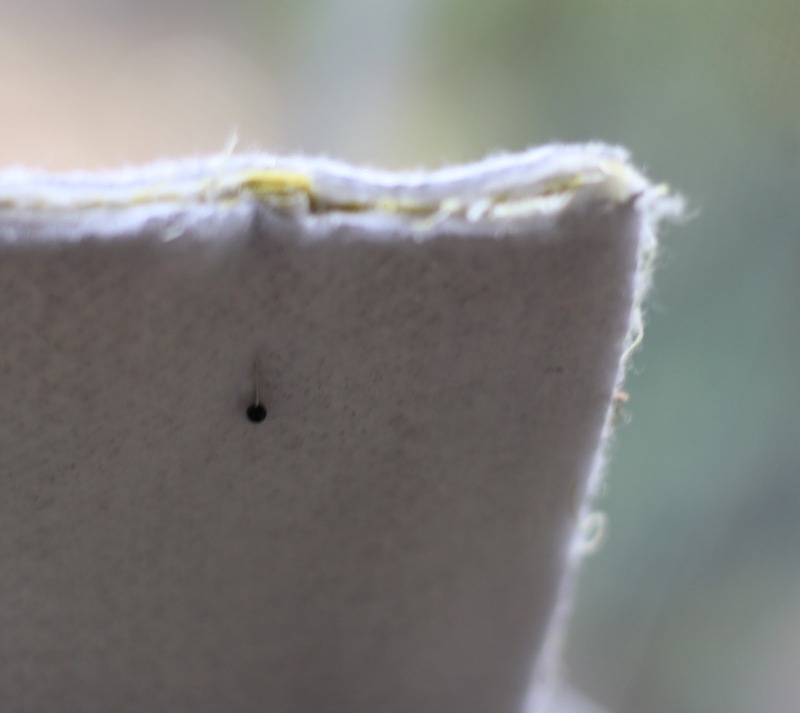 I find it easier to start with the entire presser foot on the fabric, then take a few stitches forward before backstitching to the edge of the fabric. 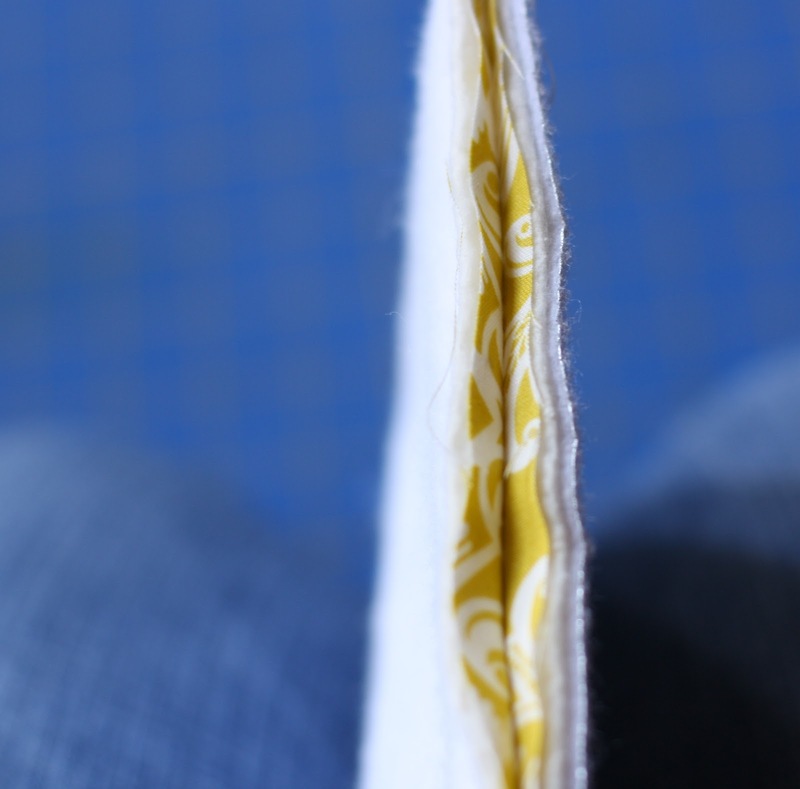 I use a 1/4" seam allowance. 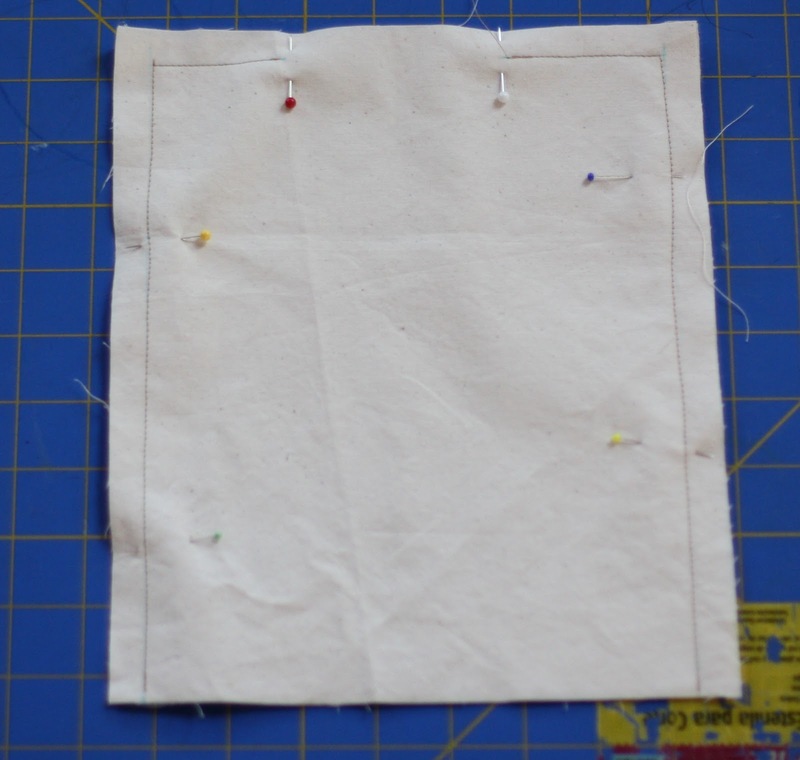 Make sure you backstitch at both ends to secure your stitching. 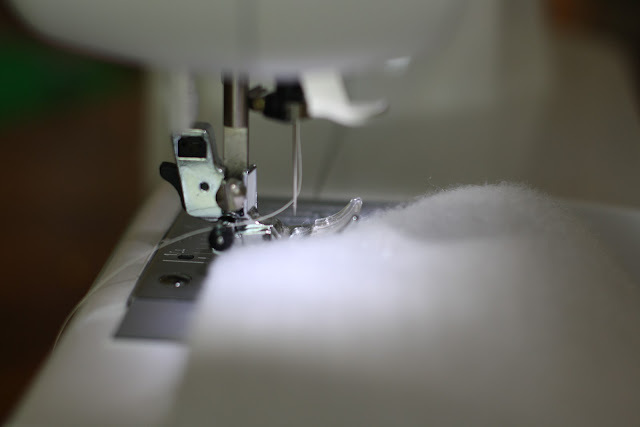 When you're done, check to be sure you've sewn through all six layers. Then turn the potholder right side out, poking out the ends with a turning tool, chopstick, or your fingers. Now place your lining pieces right sides together and pin. 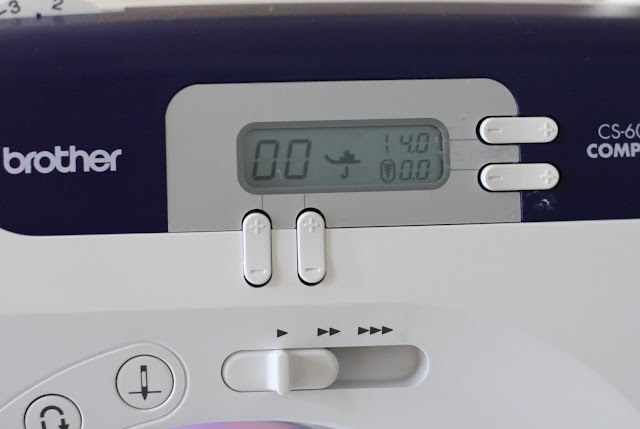 Turn your stitch length back to it's normal setting. 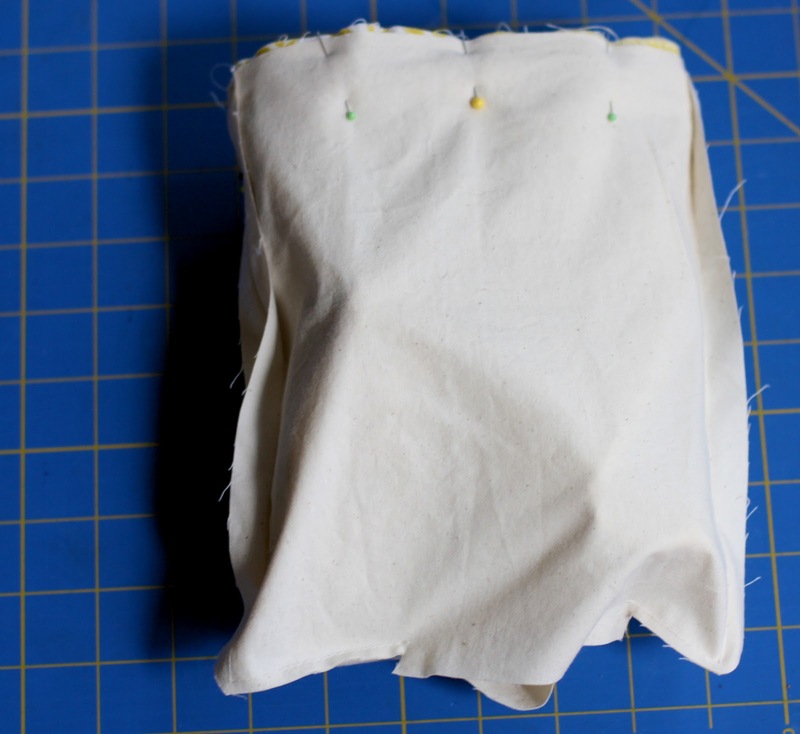 Using a 1/2" seam allowance, your going to stitch one long side and 2-3 inches into the top. Leave a 3-4 inches gap for turning. Then start stitching again, pivoting at the corner and stitching the entire long edge. Press the long sides open, clip the corners (but not the seam!) and trim the seam allowance, if you so desire. It'll look like this when you're done. 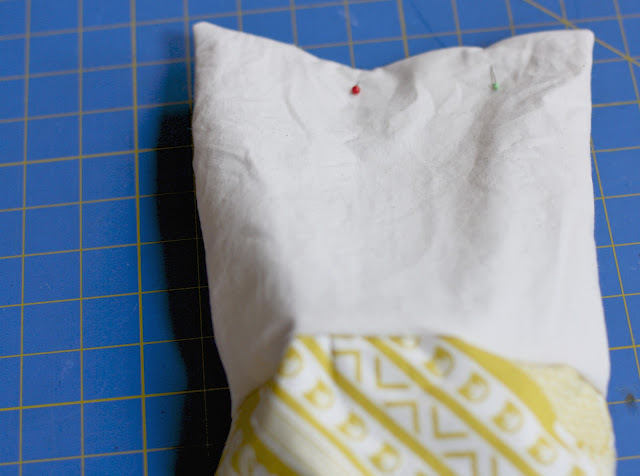 Place your potholder (which you turned right side out), inside your lining, so the right sides of the lining and exterior fabric are together. Align the seams. It's going to look bunchy, so use pins to keep it smooth at the seam line. Make sure your fabric isn't puckered. 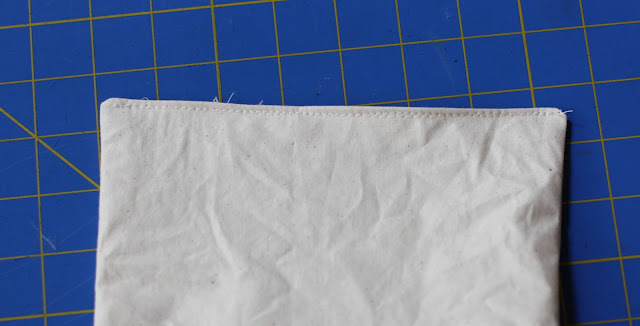 Sew the top with a 1/4" seam. 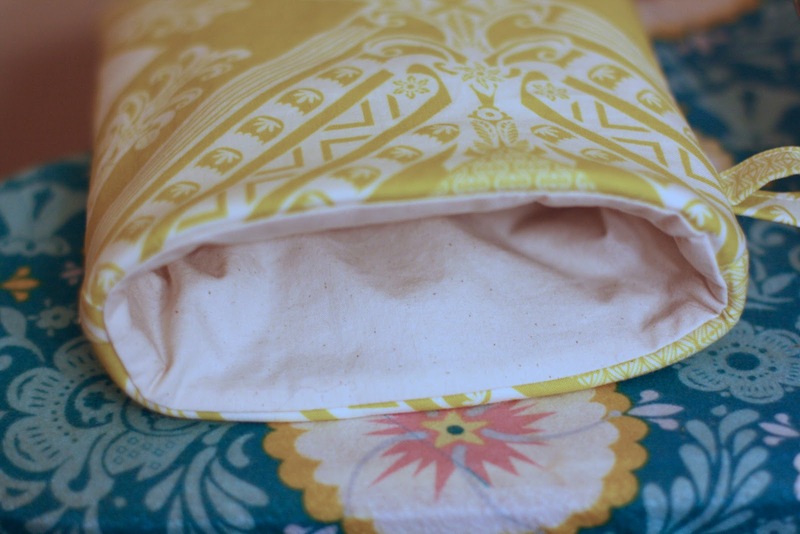 Now you're going to pull the potholder (exterior fabric and batting) through the hole you left at the top of the lining. 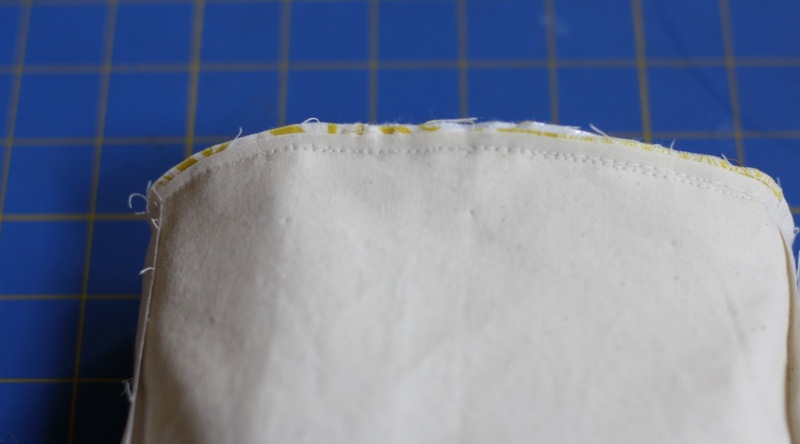 Tuck the seam allowance of your opening in, pin, and stitch together with a scant 1/8" seam. 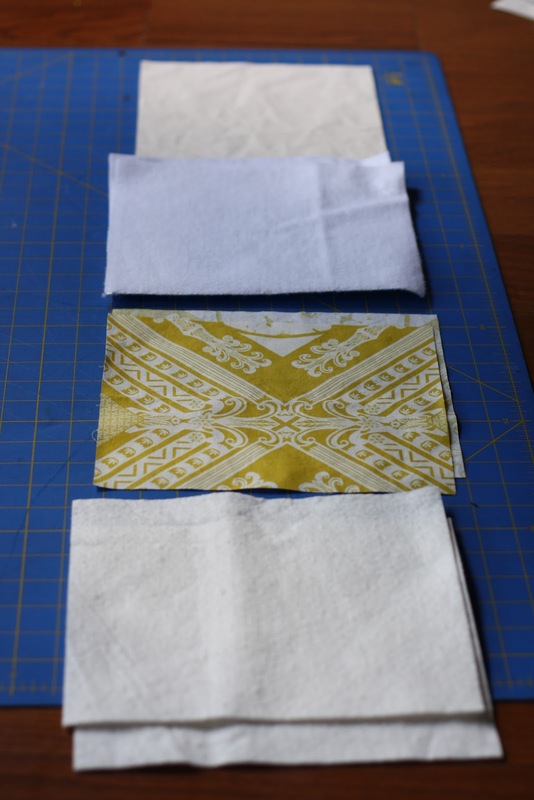 Push the lining up into the potholder and press. I like to press the exterior fabric just a bit to the inside of the potholder. 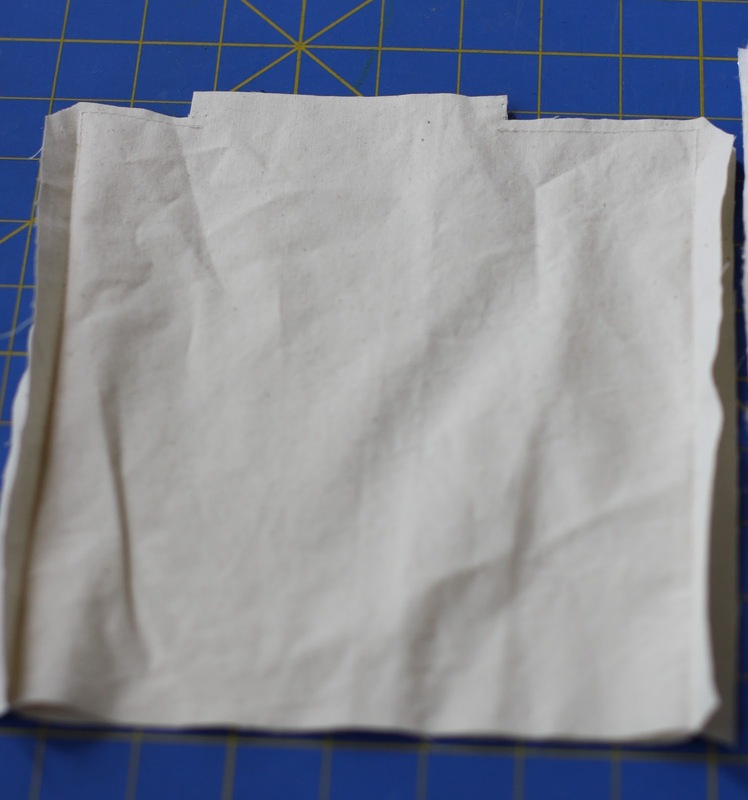 Increase your stitch length on your machine and edgestitch 1/8" away from the potholder edge. 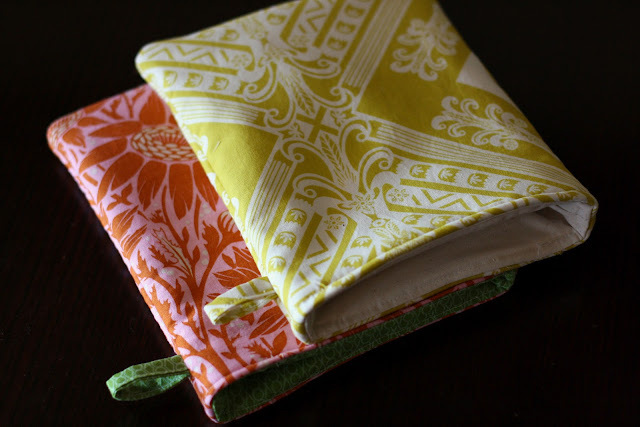 Welcome to the world of potholder addiction. Don't say I didn't warn you. Oh! I am loving this. I look forward to making some of these!